Follow up visits usually last 1 hour, except for colds or flus, which take only 15 minutes. We accept insurance, but we are not an in-network provider. Please contact us with your insurance information and our biller will verify your coverage with your insurance company. The Sinew Meridians treat acute problems like muscle strains, the common cold, and stomach bugs. They work quickly, and usually require only 1 or 2 treatments to completely remove the source of the problem. If the problem has started to become chronic, it will take several months of weekly treatments to eliminate the source of the problem. Using these vessels, we can treat problems related to the blood, the cardiovascular system, the digestive system, emotional difficulties, insomnia and many other problems. Some Luo treatments are effectively immediately (spider veins), while others require a series of treatments (digestive issues). Divergent Meridians treat a broad range of chronic, degenerative diseases, and work in one of two ways. They can either pull the problem out from the deeper structures of the body, or they can be used to put a disease into latency so the patient can remain symptom-free while they build up enough strength to eradicate the source of the problem. The Eight Extra Meridians are used to treat deep-seated problems, including diseases and tendencies passed through the DNA. They also treat emotional issues that develop at the various stages of life, from early childhood on. 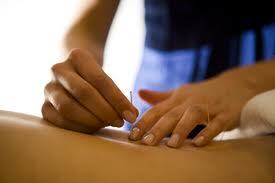 These meridians require weekly treatments for several months, then once every two weeks, then once a month.